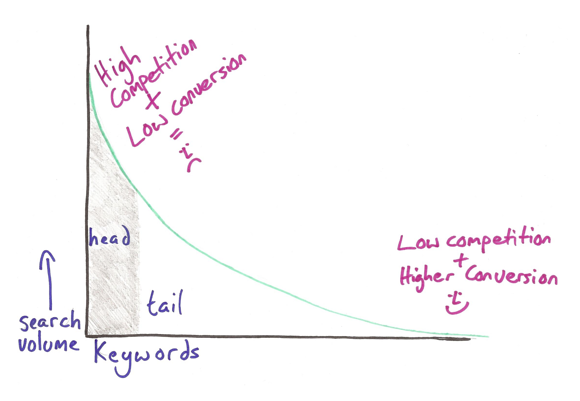 Should I focus on long-tail keywords over short-tail keywords? I have to admit I was floundering a little. With so much changing in SEO, even within the last 6 months, it’s becoming nearly impossible to provide resolute answers to such questions. But it’s a pretty valid question in the inbound content writing industry. Should we focus on one more than the other? Which should be placed where? And, more importantly, are they still relevant in the era of topic clusters and pillar pages? Short-tail keywords are often referred to as ‘seed’ or ‘head’ words. They kickstart your SEO strategy. These are usually phrases that contain 1-3 words. Where your short-tail keyword might be ‘electronics manufacturer’, your long-tail keyword might be ‘how to select an electronics manufacturer’, for example. For example, let’s take the short-tail keyword ‘keyboards’. An aspiring musician might be searching for the next addition to their music room, while a tech-obsessed millennial might be searching for the perfect partner for their wireless mouse. Often it is not until a qualifier is added to the ‘seed word’ that the context becomes apparent. However, due to their high search volume, short-tail keywords attract thousands of visitors to your website. Using them wisely as a basis for your research can inform your SEO strategy and guide you toward other ranking strategies. They can also be used to categorise your content, informing your topic clusters or the content of your pillar pages. When it comes to using them in your content, there is a balancing act to be had. Getting the density right is a skill. Too many, and you run the risk of keyword stuffing. Too little, and you could fail to generate any ranking activity at all. So where and when to place your short-tail keywords? The cardinal rule with short-tail keywords is to never force them where they don't belong. Short-tail keywords will fit nicely into meta-tags, URLs, alt tags, social media captions, headers, and where appropriate, within your content. But their placement should be organic. Using them nebulously can make your content become nonsensical which in Google’s eyes, is sacrilege. While Neil Patel advocates long-tail keywords over short-tail key-words, both serve their own purposes. Neil’s preference is perhaps down to the fact that half of all search queries are 4 words or longer. Plus, with voice search on the rise and people’s familiarity with search engines growing, users are aware of the need for more descriptive search terms. Long-tail keywords, therefore, give businesses the opportunity to target specific user personas. The process of taking a short-tail keyword to a long-tail keyword tends to be the addition of a more specific term. For example, take the keyword ‘SEO’, for which a long-tail version might be ‘how to improve blog SEO’. While you want to be ranking for 'SEO', the conversions are likely to come from the more specific term - your long-tail keyword - and from user personas who are genuinely searching for the answers you can provide. The purpose of long-tail keywords is to appeal to those who are further along the sales funnel and are more informed and certain about what they are searching for. This is where user intent comes into play. Your long-tail keywords will inform you of the questions your audiences are asking and the solutions they are looking for, helping you align your content. Using them profusely will be to your detriment, but using their substance to steer the direction of your content will better satisfy your customers' search, and in turn, build your authority as a valuable source. 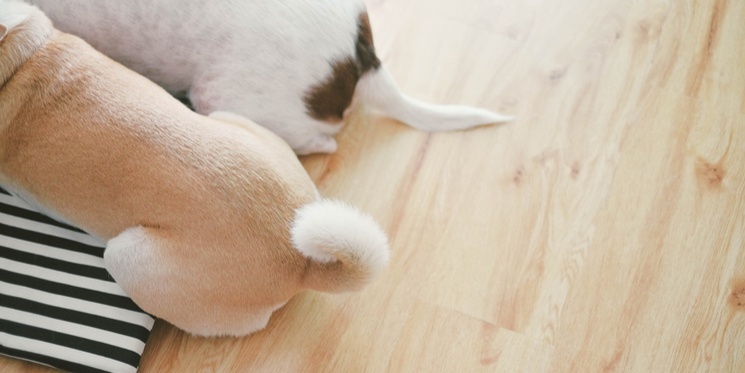 Long-tail keywords are also excellent for determining your blog title, or the entire subject of your blog. Long-tail keywords are also great for rich meta-descriptions and your intro copy, but again, be wary of overdoing it and stuffing them unnaturally. Repetition of long-tail keywords is likely to appear more contrived than with short-tail; repeating just once or twice (as necessary) should be sufficient. The main focus in SEO should always be to write for searchers first. Does your content satisfy their query and is it shareable? Shareability is a huge factor in determining your ranking on SERPs (search engine results pages). Equally, valuable, shareable is more likely to garner back-links, and link architecture is becoming more and more prevalent as part of your domain authority. Ultimately, Google cares about its searchers. That’s why it’s constantly working to improve its algorithms and provide the best-matched content to the searcher's intent. In short, both short-tail and long-tail keywords are equally relevant and valuable when developing your keyword strategy.